I know when God is trying to teach me something specific when the premise of the lesson keeps showing up in my life. Sometimes, that is a very real and exciting thing to see, but in this case it is just difficult. 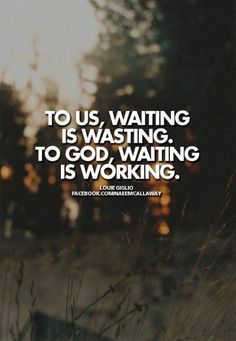 He is teaching me to wait. 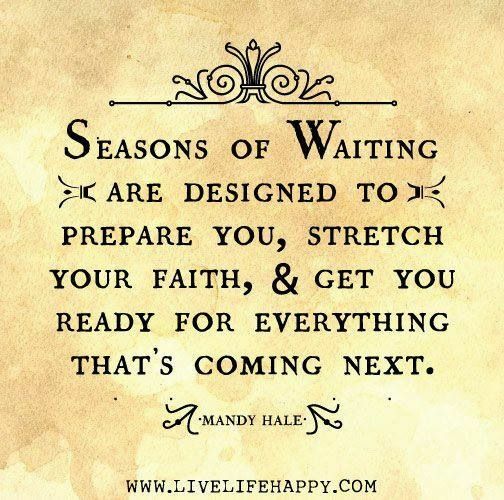 I don’t even know what exactly I am waiting for, I just know I am not who I want to be or where I want to be (somewhat literally, somewhat figuratively). I want to grow, I want to do exciting things. 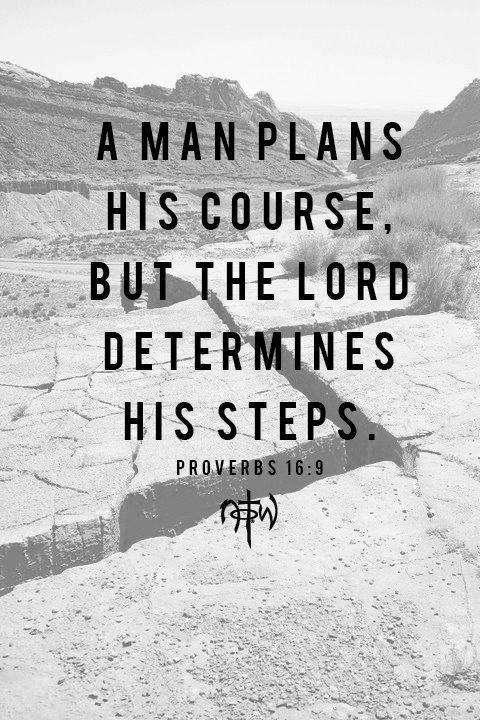 Many are my plans, but God has me seemingly stuck riiiiight here. I have been listening to the podcasts of Elevation Church. I started listening to the sermon series titled, “God’s Will is Whatever,” and it hit me hard. The basis of this series is that God has his greater will but also has His ways. The more we strive to be like Him, the more in tune with His will we become. The question of what God’s will is for my life rolls through my mind at least once a day. I think many things sound exciting – being a baker, a personal trainer, owning a coffee shop, and my most favorite being a mother and a wife. But, I am here today as a mental health therapist and single. So I always am praying for God to lead me to His will for my life. The sermon series however made me realize that the only focus I need to have is being more like God and doing everything I do to offer Him praise and bring glory to His name. I then listened to the sermon series titled, “Times and Seasons,” which really hit me hard about enjoying the life I am living right now. Not the life I want or the life I had, nor the life someone else has. Pastor Steven Furtick discussed how our seasons become what we speak of them. That hit me hard, much like when I felt God was smacking me in the face. Furtick prompted us to speak positive things about the life we are living right now. For example, I want children so bad, I always have had a longing to be a mom. But while I was listening to this podcast it was about 7pm on a Tuesday night and I was in the middle of an hour run. If I had babies, there is little chance that is what I’d be doing at 7pm on a weeknight. Listen/watch the Elevation Church sermons. There are good things being taught. Speak positively about whatever situation you are in RIGHT NOW. Keep waiting. Keep seeking God in the wait. He is faithful, He has so much good planned for you. Do something while you waiting. Do things to further His kingdom, do things to further your growth, and do things to help others.